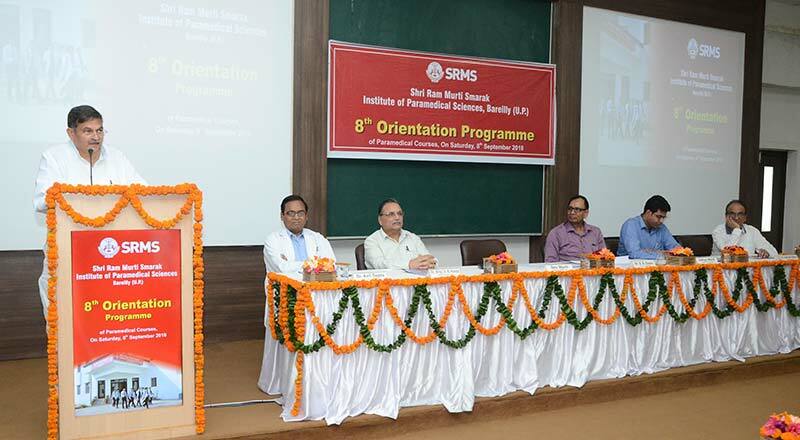 Freshers’ Orientation Programme of 2018 batch was organized by Shri Ram Murti Smarak Institute of Paramedical Sciences on 8th September, 2018 at the auditorium of Shri Ram Murti Smarak Institute of Medical Sciences, Baraeilly. 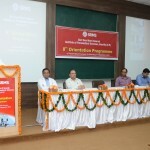 The Chief Guest, Chairman Shri. Dev Murti, inaugurated the program by lighting the lamp. Program was started with Saraswati Vandana in presence of Chairman Shri. Dev Murti, Director Administration Shri. Aditya Murti, Trust Administrator Er. 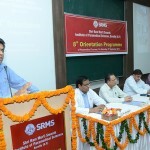 Subhash Mehra, Principal Medical College Prof. Dr. S.B. Gupta, Medical Superintendent Dr. S.K. Handa and Principal Paramedical College Dr. Anil Gupta. 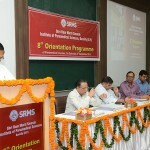 Dr. Anil Gupta, Principal Paramedical College, welcomed the newly admitted students and encouraged them by highlighting “Education is not preparation for life, Education is life itself.” He introduced them with the culture of the college and the achievements and milestones SRMS IPS has achieved with constant pursuance of excellence. 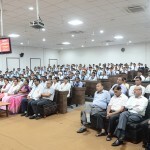 He also emphasized that “I hear and I forget, I see and I remember, I do and I understand” is very important for higher medical education system. Shri. 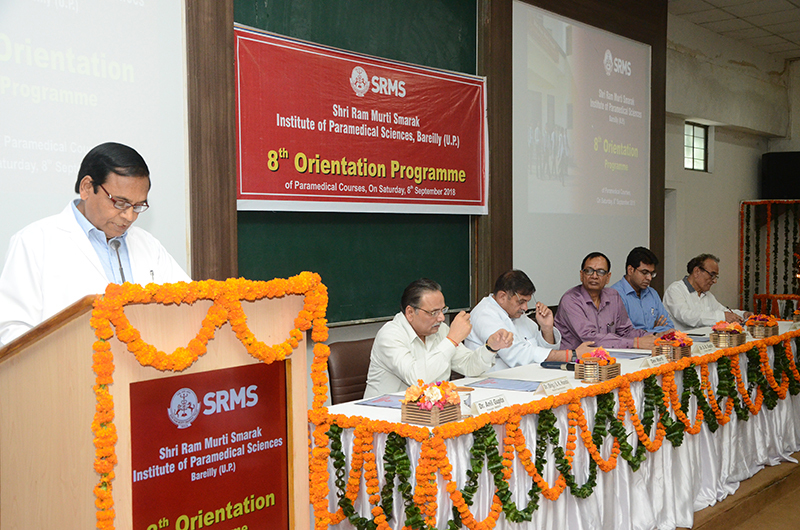 Dev Murti, Chairman SRMS Trust, in his address, emphasized to believe in God and give importance to time management. 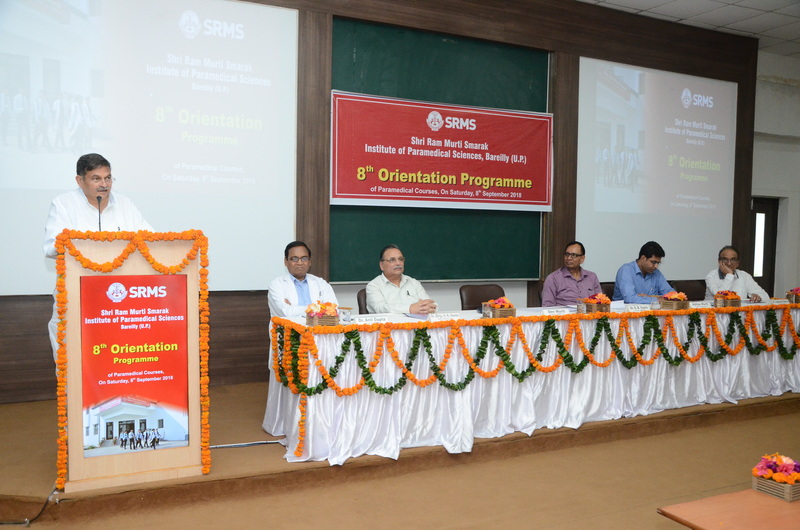 He guided the students to work towards their goal with positive thinking and determination as paramedical programmes contribute around 60% in the entire medical education system. He ended his speech by wishing and bestowing blessings to all the students and their parents for a bright and successful future. Shri. 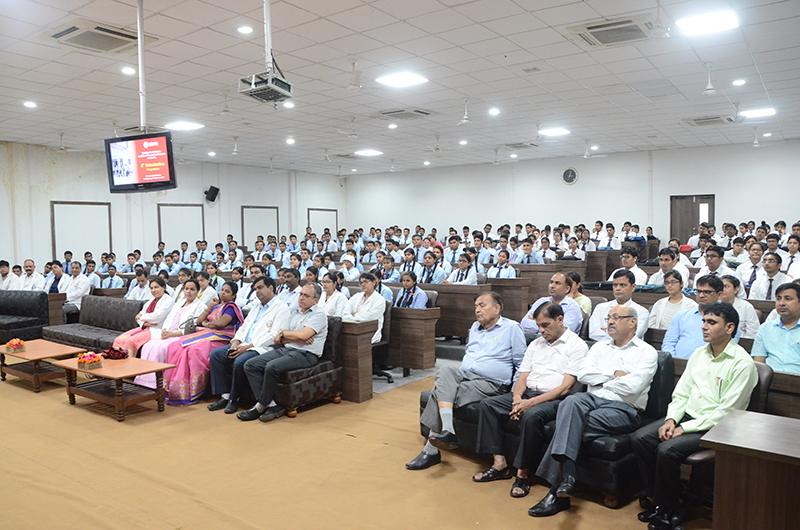 Aditya Murti, Director Administration, also advised the newly admitted students to work hard and pay more attention in improving their communication skills for their future growth and development. In his speech he also threw a light on accomplishments the college has achieved. Er. 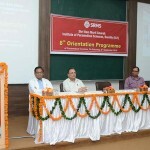 Subhash Mehra, Trust Administrator and Dr. S.K. 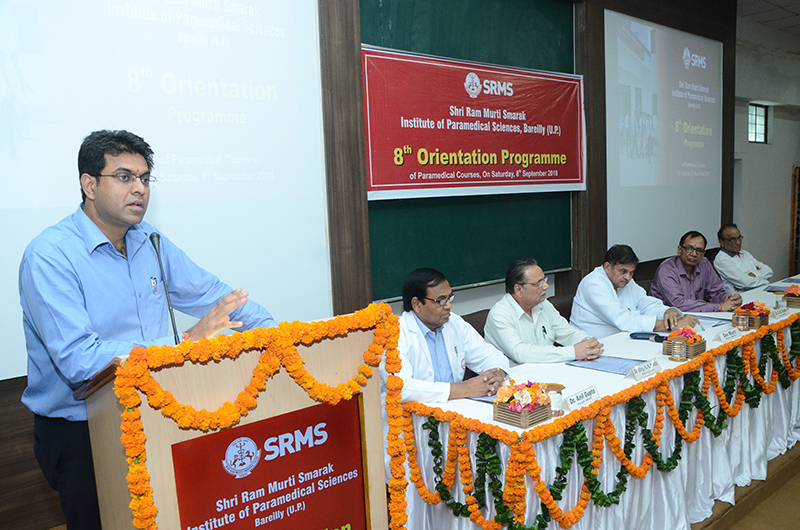 Handa, Medical Superintendent also welcomed the students at this prestigious campus with open arms. Special thanks to Madam Ms. Priyanka Saxena for effectively anchoring the program and Madam Ms. Vidhi Singh for concluding the programme with her Vote of thanks.